The modern lines of this metal pull will make the right statement on any surface. A clean and crisp detail for your contemporary space. Add a touch of elegance to your cabinets and drawers with this handle by Richelieu. With its curved shape, this pull is sure to add a distinguished look to all interiors. 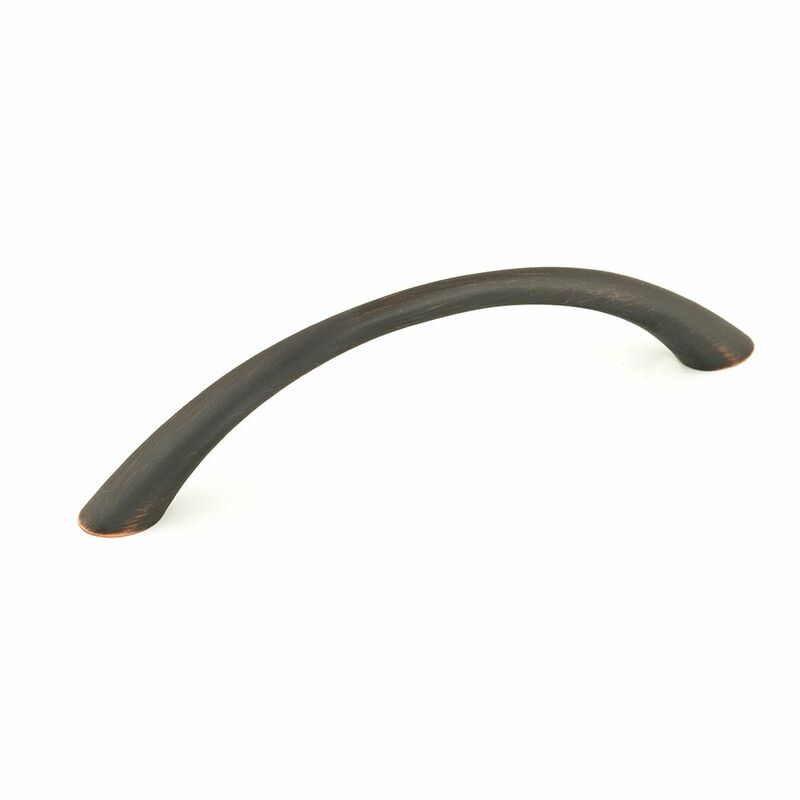 Contemporary Metal Pull 3 3/4 in (96 mm) CtoC - Brushed Oil-Rubbed Bronze - Utopia Collection Contemporary bow pull by Richelieu. The arch ends in an elegant flared base at each end. Easy to install for an instant and elegant upgrade to your furniture or cabinets.